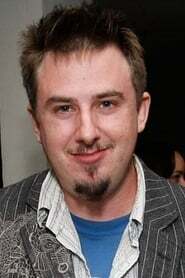 Travis Beacham is an American screenwriter. He was the screenwriter and co-writer for Guillermo del Toro's Pacific Rim. Just prior to graduating from the School of the Arts in 2005, Beacham contributed to the independent feature Dog Days of Summer. Beacham's first spec script Killing on Carnival Row was picked up by New Line Cinema in 2005. Characterized as "a dark neo-noir fantasy thriller," the project has alternately been in development with directors Guillermo del Toro and Neil Jordan. In May 2006, Beacham was hired to write an early draft of the Warner Bros. remake of the 1981 mythology epic Clash of the Titans. His second spec script, an "otherworldly fantasy" titled The Tanglewood, was picked up by Carnival Row producers Arnold Kopelson and Anne Kopelson in 2007. In 2009, Beacham was reported to be working on the screenplay for the Disney remake of The Black Hole. Plot details of Beacham's script have been kept under wraps, but the new film is said to be more grounded in science.